I remember a funny moment years ago when my daughter pointed at an ‘LP’ on display at the Smithsonian museum and exclaimed “Hey dad..check out this HUGE CD!! !” She had never seen a vinyl record. My goodness, life does rapidly evolve, doesn’t it? Nowhere is that more evident than in how we communicate. I still love stationary and go out of my way to pick out unique stamps, but let’s face it..snail mailers like me are going extinct. 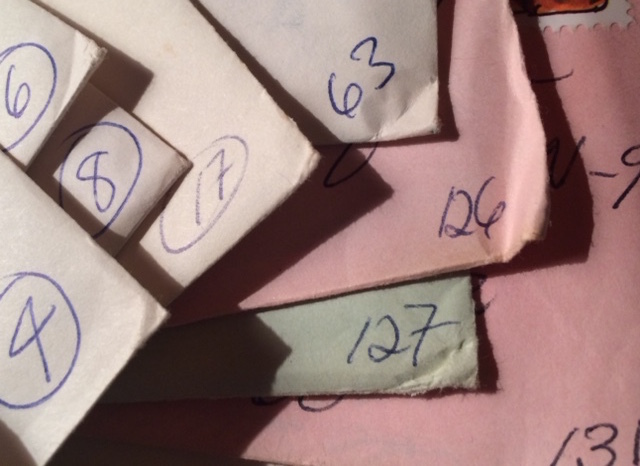 I have been slowly rummaging through our home cleaning out long forgotten boxes and drawers and recently stumbled upon a large container full of the letters my husband and I had written to each other years ago. 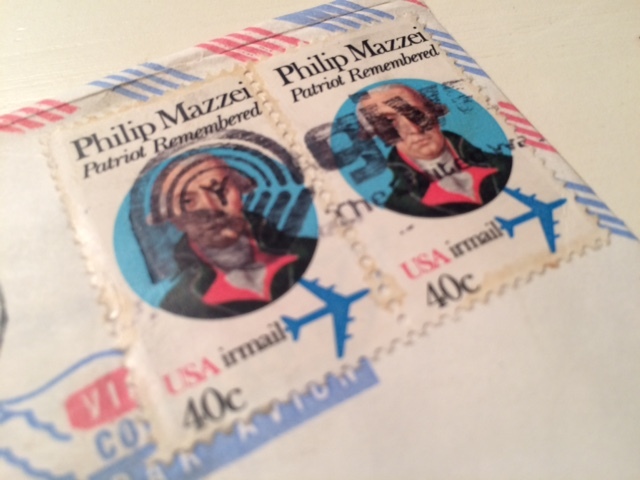 The first batch of mail was from his time at the Naval Academy. I was a 17 year old townie ( Annapolis local) who was only able to see my dashing, new boyfriend one night a week. Every so often I’d receive an exciting, but rushed, midweek phone call from the payphone the midshipmen would stand in line to use..but mostly we wrote letters to each other because it was the only way to regularly communicate and keep our budding romance alive. 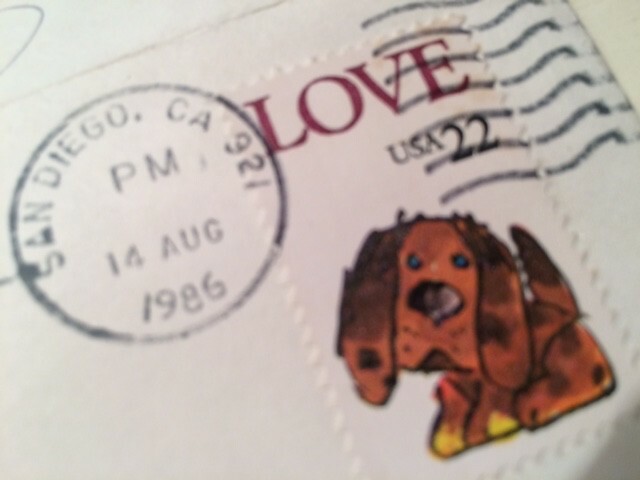 You’re not seeing things- that’s a 15 cent stamp! 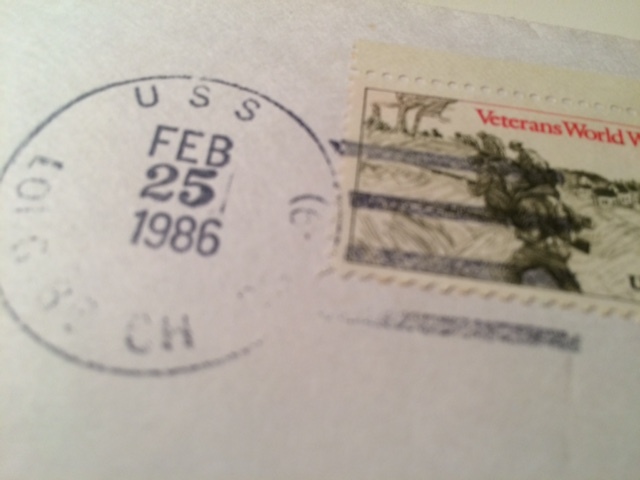 The third and largest batch of correspondence is from the period after we were married when my husband was away at sea. Phone calls were extraordinarily rare and pricey, and telegrams were usually reserved for emergencies. Mail was also so extremely unreliable that I would number all of the envelopes so that my poor sailor would at least be able to read them in order when he finally did receive a pile. Once in a while, as a special treat, we would send each other rambling and awkward audio cassettes. What a beautiful post, Cindy. For all the ease of communication our technology affords us these days, there’s nothing like the anticipation of sending (or waiting for a letter) — and Skype will never come close to the intimacy of receiving something from a loved one, written in their own hand. Thank you for that reminder. How wonderful to have all those written memories! My Hubby and I never had a need to write letter to each other but when we were first dating he faithfully kept a journal. Now and then we get a kick out of rereading some of his entries from when we were first together. He sounds like a great guy. It’s nice that you have kind of “grown up” together. 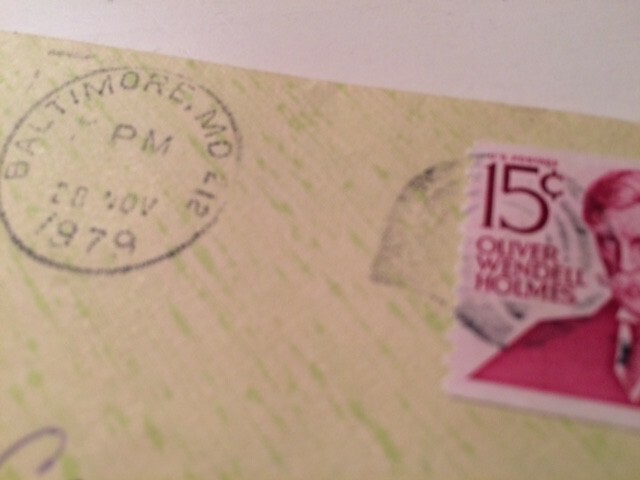 This is one good argument for greeting cards – it’s an excuse to get, and keep, something handwritten. 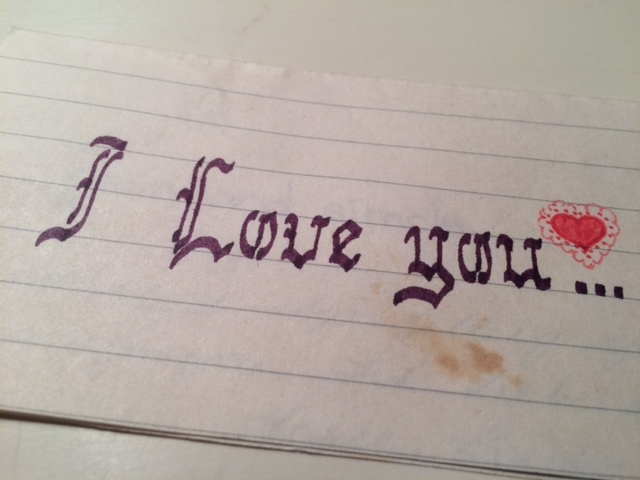 My husband and I also exchanged love letters while he was away at college and I was in my senior year of high school. Once in a great while he’d call me but it was expensive. He’d borrow the phone at his friend’s house and then pay the friend for the charge on the phone bill. 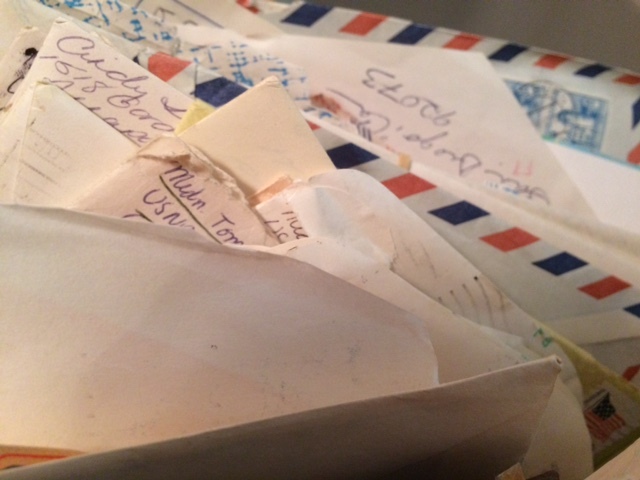 I have a stack of letters from that time that I will not get rid of. We still write each other letters and notes to keep our relationship fresh. I have a box of notes and letters he’s written me over the past year. The written word means so much to me. Me too, I just need to figure out how to keep the ink from fading.. (I think I have few years on you, so you may not have this problem–yet!!! ) haha.